What the earmark ban is really about. WASHINGTON—Will the tea party sell out for a mess of pottage in the form of a ban on earmarks? That’s one possibility. But another is that this embrace of a purely symbolic approach to deficit reduction is a sign that the tea party's central goals may lie elsewhere—in an effort to push the Republican Party away from those aspects of George W. Bush’s legacy that tried to steer the conservative movement in a new direction. The real point may be to get the GOP to say goodbye to the idea of a compassionate conservatism and to Bush’s peculiar but real brand of multiculturalism. It was entertaining to watch Senate Minority Leader Mitch McConnell reluctantly capitulate to the tea party by supporting a two-year ban on requests for earmarks from his chamber's Republicans. McConnell knows perfectly well that ending earmarks will transfer more authority over spending to the executive branch while saving little, if any, money. Earmarks, after all, are nothing more than a legislative gimmick empowering individual senators and representatives to direct pieces of federal largesse toward their favorite projects. The tea party talks a lot about “constitutionalism,” yet this move flies in the face of the Constitution’s clear preference for congressional control over spending. It’s odd to see so much energy devoted to securing a decision that actually gives more power to President Obama, the politician who inspires so much loathing in the tea party. Published in “The Presidency of George W. Bush: A First Historical Assessment” (Princeton, 2010), the essay sees Bush as attempting to offer “groups of minority voters reason to rethink their traditional hostility to the GOP." I don’t share Caldwell’s substantive take on these issues—in particular, the problem with Bush’s domestic compassion agenda was how little money he put behind it—but the column is a shrewd reflection on some of the central sources of tea party discontent. For liberals, the publication of Bush’s memoirs has largely been an occasion for revisiting all the areas in which they rate his presidency a catastrophic failure: the rush to war in Iraq, torture, tax cuts for the rich, the response to Hurricane Katrina. It’s hard for liberals (believe me, I know) to fathom that there are any parts of the Bush legacy we might miss. But imagine if the main result of the tea party is a “correction” of the Bush creed involving a move away from its most open and tolerant features and a rebellion against even the idea that compassion is a legitimate object of public policy. 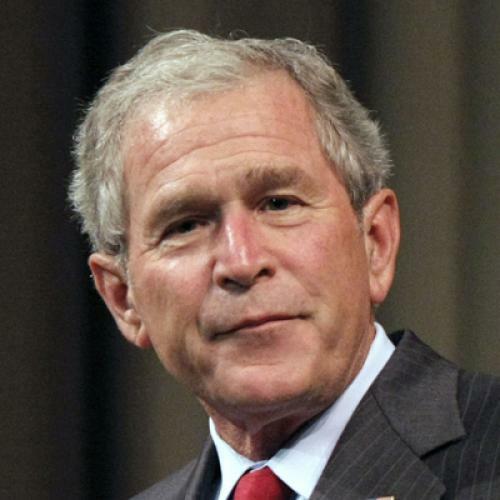 A conservatism that abandons the redeeming side of Bushism will not be an improvement on the old model. E.J. Dionne, Jr. is is a Washington Post columnist, a senior fellow at the Brookings Institution, and a professor at Georgetown University. He is the author of, most recently, Souled Out: Reclaiming Faith and Politics After the Religious Right.